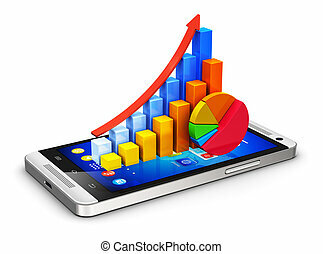 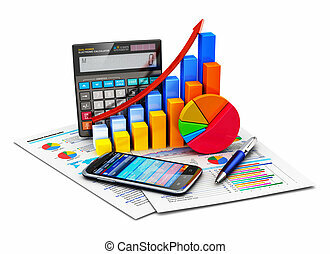 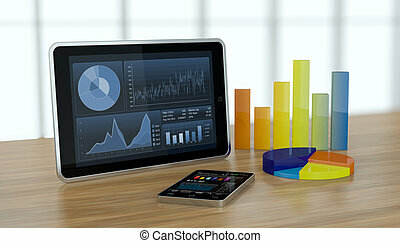 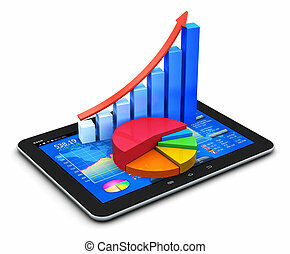 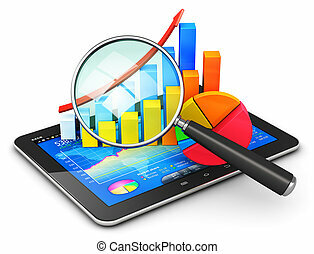 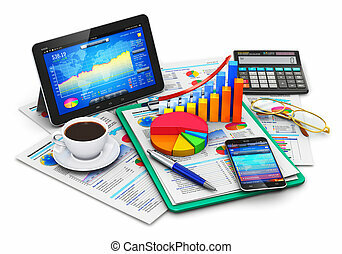 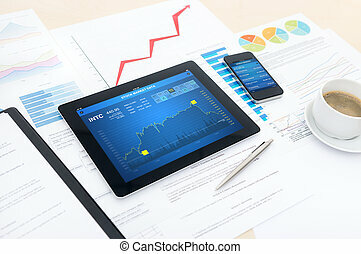 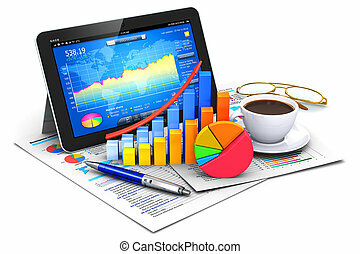 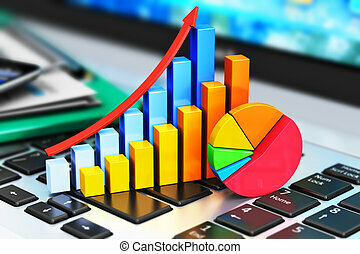 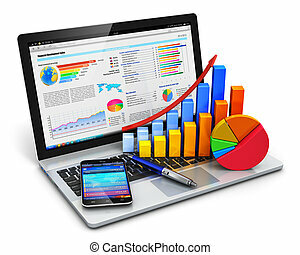 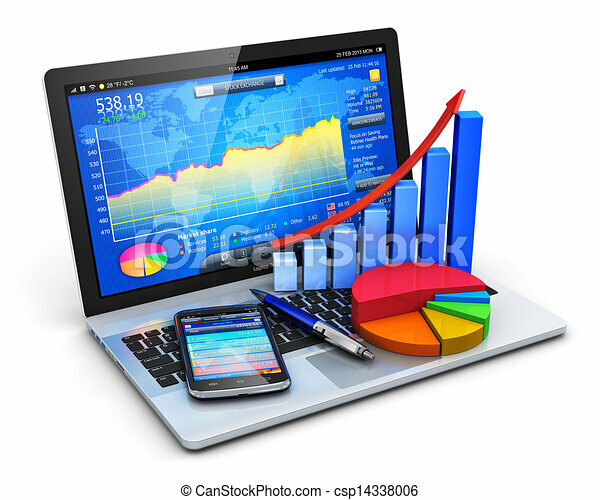 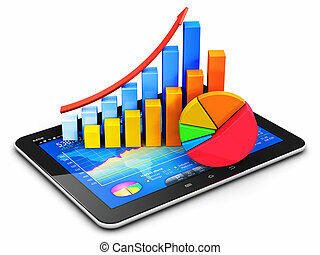 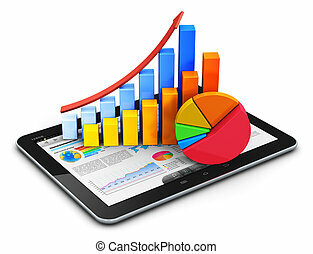 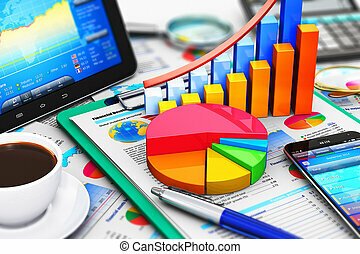 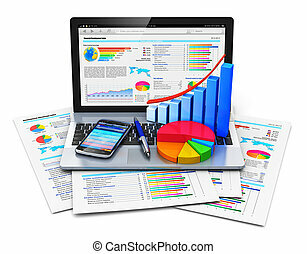 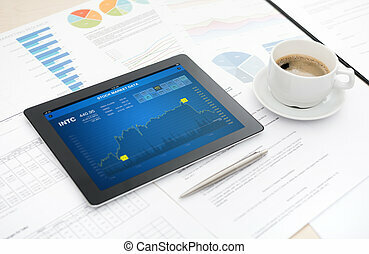 Modern digital tablet with stock market data application on the screen lying on a desk with some papers and documents, pen and a cup of coffee. 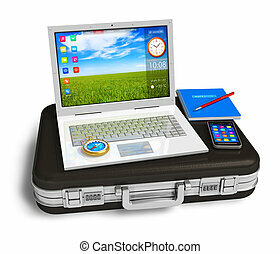 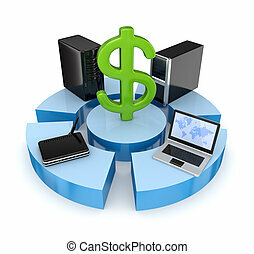 Computer devices around dollar sign.Isolated on white background.3d rendered. 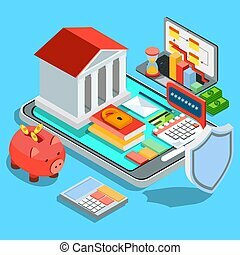 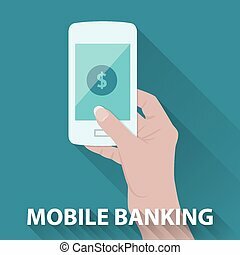 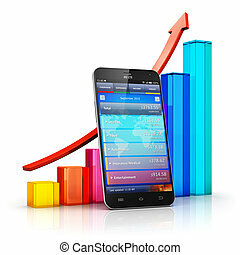 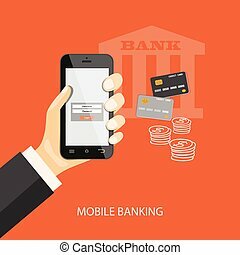 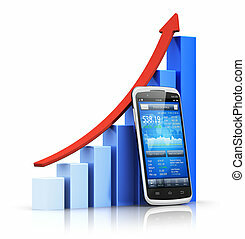 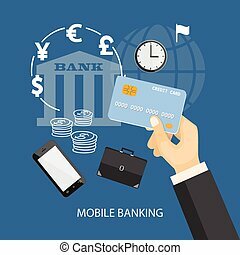 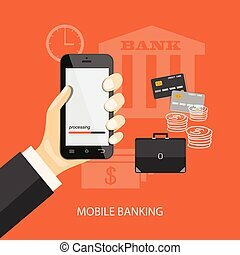 Flat isometric mobile banking concept. 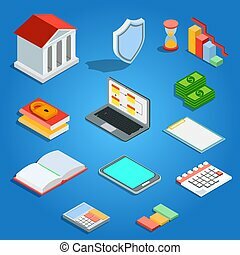 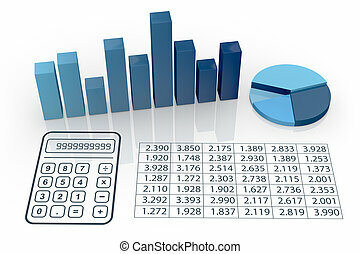 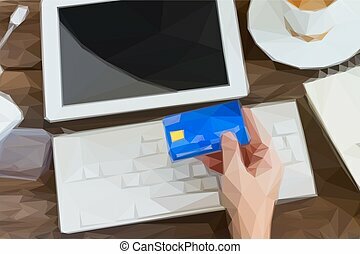 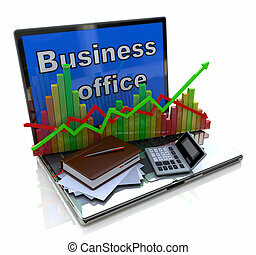 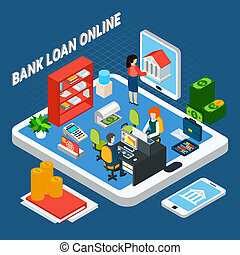 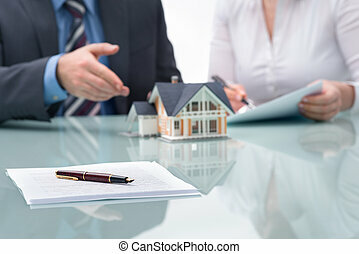 Credit and Loans online office.